LAKEWOOD, Colorado, June 6, 2013 (ENS) – Ski areas from 24 states have signed the Climate Declaration, which calls on U.S. federal policymakers and legislators to seize the economic opportunity of addressing climate change. 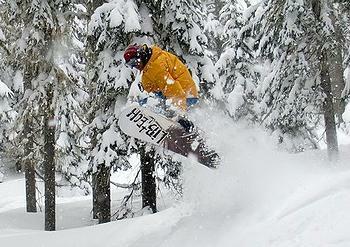 Ski areas in the United States employ some 160,000 people and generate roughly $12.2 billion in annual revenue. 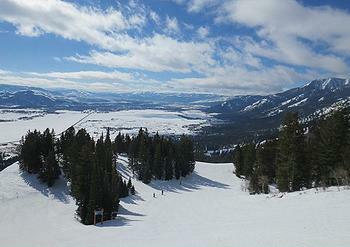 The National Ski Areas Association, NSAA, calculates that visitors to U.S. ski areas spent $5.8 billion at those resorts over the course of the 2011/2012 season. Preliminary figures from the 2012/2013 season show an 11 percent increase in visits year-over-year, to an estimated 56.6 million visits. “We welcome legislative and regulatory initiatives that will reduce carbon emissions, incentivize renewable energy development and help improve our resiliency in the future,” the NSAA wrote. Brent Giles, chief sustainability officer for Powdr Corp of Utah, parent company to Park City Mountain Resort in Utah, Copper Mountain in Colorado and Killington Resort in Vermont supports the Climate Declaration. The signatory ski areas believe that taking action on their own is important, but they need action from Washington as well. Ski areas across the country adopted the NSAA Environmental Charter in 2000 to address the environmental concerns of the industry. The Charter, often called “Sustainable Slopes,” identifies climate change as a potential threat to the environment and the ski industry. “Although we are not a major source of greenhouse gas emissions, many resorts across the country already are taking steps to reduce their own, limited GHG emissions,” NSAA said. Two years ago, NSAA initiated the “Climate Challenge,” a voluntary program that helps participating ski areas reduce greenhouse gas emissions and reap other benefits in their operations, such as reducing costs of energy use. Resorts who take the Challenge are required to complete a climate inventory on their resort operations, set a target for greenhouse gas reduction, and implement a new program or project annually to meet the reduction goal. To date, 20 resorts have taken the Challenge. Actions taken so far include lighting retrofits, development of on-site renewable energy such as solar and wind, and investment in high efficiency snowmaking equipment. Apart from the Climate Challenge, ski areas are developing renewable energy on site through the application of wind, solar, geothermal and micro-hydro technology. Ski areas are applying energy-efficient green building techniques, retrofitting existing facilities to save energy, replacing inefficient compressors in snowmaking operations, using alternative fuels in resort vehicle fleets, implementing anti-idling policies and providing or promoting car pooling or mass transit use by guests and employees. Ski areas are also supporting renewable energy by purchasing Renewable Energy Credits. NSAA recently submitted testimony to the Bicameral Task Force on Climate Change in Congress to encourage action in Washington on the issue of climate change. Over the past decade, ski areas have supported a variety of energy and climate proposals in Congress, as well as proposed climate policies from federal agencies, including cap and trade of the greenhouse gas carbon dioxide, extending the Investment Tax Credit and the Production Tax Credit, adopting renewable portfolio standards and cleaner fuels and cleaner vehicle emissions requirements, and EPA’s establishment of protective carbon emission standards for new power plants.